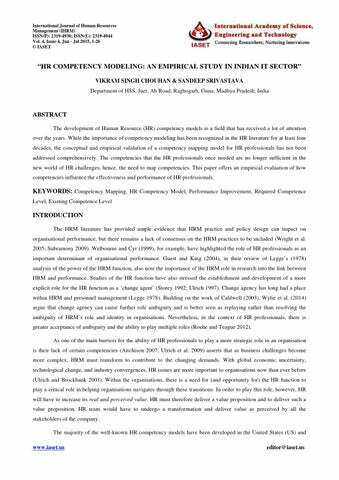 Human Resource Management: Human Resource Management is one of the premier journals in the business bridging research and practice and features thought provoking articles on innovative strategies and methods for the human resources management profession. Aisbett, L., & Hoye, R. (2015). Human resource management practices to support sport event volunteers. Asia Pacific Journal of Human Resources, 53(3), 351-369.